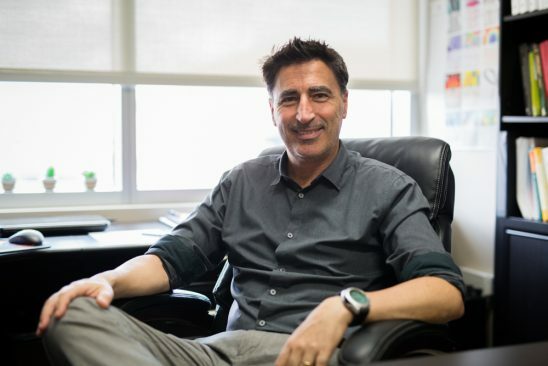 UCF Physics Professor Enrique del Barco was part of a research team that surpassed a limitation thought to be impossible, opening new doors in the field of molecular electronics. An international research team that includes University of Central Florida Professor Enrique del Barco, Damien Thompson of the University of Limerick and Christian A. Nijhuis of the National University of Singapore has cracked an important limitation that for nearly 20 years has prevented the practical use of molecular diodes. Electrical circuits are the basic building blocks of modern electronics, with components that control the flow of current. One of those components is the diode, which allows the flow of current in one direction while blocking the opposite flow. The circuits that are ubiquitous in electronic devices the world over are silicon-based. But scientists have long been trying to duplicate the capabilities of silicon-based circuitry at the molecular level. Molecular electronics use single molecules or nanoscale collections of single molecules as electronic components. That would allow the unprecedented miniaturization of computers and other electronics. Diodes are characterized by their rectification ratio, which is the rate between current for positive and negative electrical bias. The rectification ratios of commercial silicon-based diodes have rectification ratios between 105 and 108. The higher the rectification rate, the more precise the control of current. So, for nearly 20 years without success, researchers have been trying to design molecular diodes that match or exceed that rectification ratio. A fundamental theoretical limitation of a single molecule had limited molecular diodes to rectification ratios no higher than 103 – far from the commercial values of silicon-based diodes. Now, as reported Monday in the scholarly journal Nature Nanotechnology, a team of scientists led by Christian A. Nijhuis of the National University of Singapore has demonstrated a way to reach a rectification ratio that had been thought a theoretical impossibility. The researchers were able to form macroscale tunnel junctions based on a single layer of molecular diodes. The number of molecules conducting current in those junctions changes with the bias polarity, thus multiplying the intrinsic rectification ratio of an individual molecule for forward bias by three orders of magnitude. Their method overcame the 103 limitation, resulting in a record-high rectification ratio of 6.3 x 105. The breakthrough isn’t likely to replace silicon diodes, but could eventually bring about the use of molecular diodes for applications that silicon diodes can’t handle. And molecular diodes, which can be produced in a chemistry lab, would be cheaper and easier to fabricate than standard diodes. In addition to del Barco, Thompson and Nijhuis, the research team included Xiaoping Chen, Max Roemer, Li Yuan, and Wei Du, all of the National University of Singapore. The research was funded through support from Singapore’s Ministry of Education, Science Foundation Ireland and the National Science Foundation. To view the original story click here.